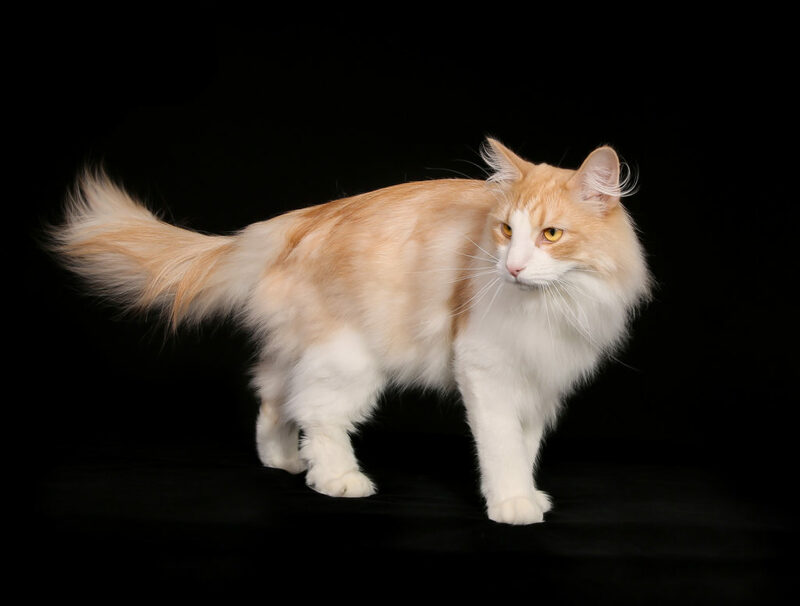 While it is typical to expect any breed of cat to have some health issues, Norwegian Forest Cats can have both genetic and inherited health problems. If a cattery claims that their Norwegian Forest Cats are in perfect health and will never have any health issues, take this as a major red flag. The breeder should be deeply knowledgable and honest about two very common health problems in particular that frequently occur during a Wegie’s lifetime. 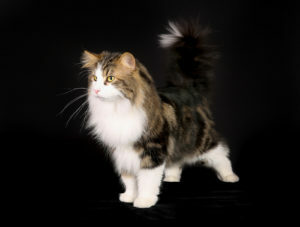 Norwegian Forest Cats suffer more frequently than many other breeds from Hip Dsyplasia and Hypertrophic Cardiomyopathy. This occurs when the heart muscles thicken. It is a common heart disease in cats, but even more routine with Wegies. While many breeders may claim that their cats have a low chance of getting HCM, every cat has the chance of developing this condition. It is possible to have your Norwegian Forest Cat screened for this particular disease, and you should ask the breeder if they have already had this testing done by a vet (with the documented results to back it up). This illness affects the Wegie’s hip socket. It may be difficult to realize that your cat has this issue at first because they may not be feeling any pain from it. Typically, it will only cause a mild pain until it eventually gets bad enough to cause your cat to stop using their leg. Symptoms may include your cat moving a bit slower and not jumping like they used to. Any differences in the way your cat walks, runs or jumps may be a sign that there is something wrong. Listen to your cat and watch their behavior, since this may be the only way to be alerted of a potential issue. Believe it or not, your cat will try to send obvious signs that they are feeling uncomfortable or in pain. Purebred Norwegian Forest Cats should have X-rays performed on their hips at around the age of 2 years old. If possible, it can be helpful to determine whether your cat’s parents have good hips or a history of hip problems in the past. This could be an indicator that your Wegie might have a higher chance of hip issues since it is hereditary. Regardless, they may still develop the illness later on, so it is best to have them checked by the vet. It should go without saying, but make sure to take your Wegie to the veterinarian for routine checkups, and ask specifically about the two conditions above. It could greatly improve your Wegie’s chances of enjoying a long, full, healthy life!